Burnside KY (September 1, 2018) Lake Cumberland Speedway hosted Driver Appreciation Night Saturday, September 1st, with 96 drivers receiving free admission for racing the action. Victor Lee of Danville, KY would have a very good night, to say the least. the driver affectionately known as “The Lincoln Leadfoot” would pick up victories in both the McGowan Excavating Late Models and Roark & Sons Transport Open Wheel Modifieds. Glen Hounshell of Paint Lick, KY would make a last -lap pass on Eddie Stewart of Manchester, KY as the 2 battled on lapped traffic, to pick up his 1st Yanders Towing KDRA Super Stock Feature of 2018. In a First for Lake Cumberland Soeedway, the Somerset Machine Shop KDRA Mini Stock Division was separated into 2 divisions Saturday night. The KDRA RWD Mini Stock Feature would see Eddie Stewart of Manchester, KY pick up the win, while Jake Duncan of Oneida, TN would pick up the Feature Win in the KDRA FWD Mini Stock Division. Lake Cumberland Speedway will take the weekend of September 8th off for the World 100. The rack roars back to life Friday, September 14th for a special night of racing. The Schaeffer’s Oil Iron-Man Late Model Series invades Lake Cumberland Speewday paying $4,000/Win for Super Late Models in the Fall Feat 40. Open Wheels $1,00/Win, KDRA Super Stocks $600/Win KDRA RWD Mini Stocks $400/Win and KDRA FWD Mini Stocks $300/Win. Friday, September 14th Grandstand Admission $20 12-under free/ Pits $40. For a full schedule of events log on to lcspeedway.net. Like us on Facebook-Lake Cumberland Speewday Dirt Racing, Follow is on Twitter-@lc_speedway and get up-to-the-minute updates sent directly in text on REMIND- Text @lcspeed to 81010. From the staff of Lake Cumberland Speedway, we say THAN YOU to the record crowd that made Saturday Night’s Harold Hardgrove Memorial such a huge success. There were 128 total cars signed in for this year’s Memorial Race, honoring the late Harold Hardgrove, former owner/ promotor of Lake Cumberland Speedway. Lake Cumberland Speedway is back in action Saturday, September 1st with DRIVER APPRECIATION NIGHT. Every racer will receive free pit entry for Saturday’s Summer Sizzler Series, featuring Late Models, Open Wheel Modifieds, KDRA Super Stock KDRA Mini Stocks and Front Wheel Drives. The Mini Stocks will be split into 2 classes-front wheel drive and rear wheel drive. Gates open 3pm with racing starting at 7pm. 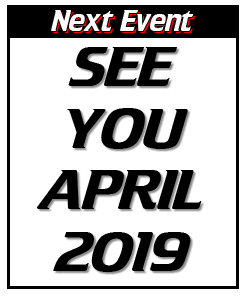 For a full schedule of events visit lcspeedway.net. Like us on Facebook-Lake Cumberland Speedway Dirt Racing, Follow us on Twitter-@lc_speedway, Instagram-LCSpeedway and on REMIND by texting @lcspeed to 81010.